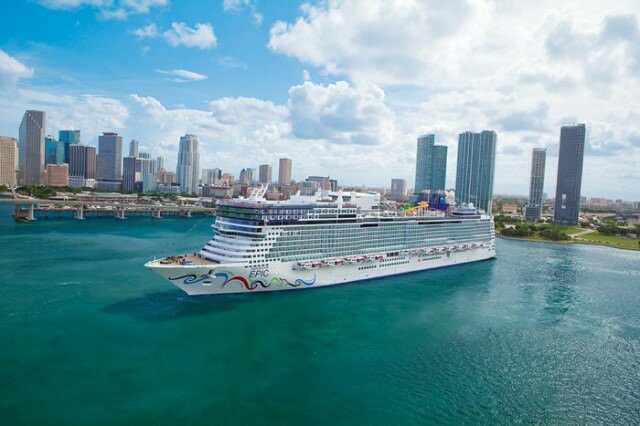 NCL's big, bold Norwegian Epic in her seasonal homeport of Miami, Florida. Photo courtesy of Norwegian Cruise Line. A big, busy ship, the 153,000-ton, 4,200-guest Norwegian Epic offers a great lineup of entertainment, incredible kids facilities and programs, an unbelievable number of dining options, a multitude of bars and lounges, some truly revolutionary stateroom options, but she also has a few problems that make her not quite as great as she could have been. 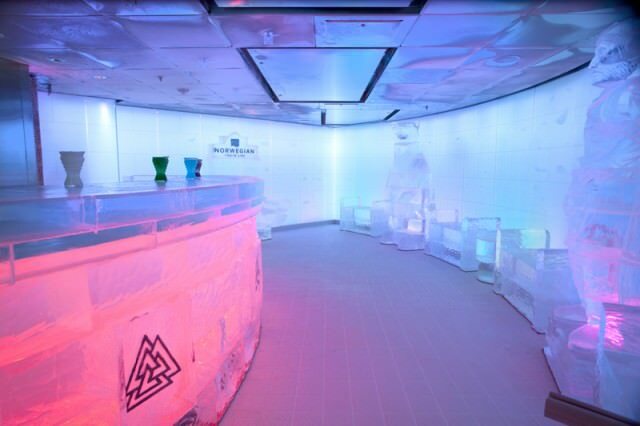 The IceBar aboard Norwegian Epic is a chilly - yet fascinating - experience. Photo courtesy of Norwegian Cruise Line. Along with Royal Caribbean’s Oasis-class ships — and, for families, the Disney ships — Epic offers the best entertainment at sea. Top honors go to shows by the Blue Man Group, which mix pantomime, comedy, music, acrobatics, and plain old surrealism to one incredible performance. Other crowd-pleasers include sketch, improv, and participatory murder mystery shows by the legendary comedy troupe Second City (except in Europe, where Second City is replaced by less English-only acts); the dueling-pianos show Howl at the Moon; great musical performances at the Fat Cats Jazz & Blues Club; the Legends in Concert celebrity-impersonator shows; and Cirque Dreams and Dinner, a somewhat less successful dinner-theater show that aims to be a kind of circus fantasy but comes off too shrill and manic to work while people are eating. The elegantly-appointed Manhattan Dining Room. Photo courtesy of Norwegian Cruise Line. Speaking of eating, you can sure do a lot of it aboard Epic, which offers about 20 different dining options, from fancy to super-casual. At the high end, there’s the classic Cagney’s Steakhouse; the South American–style Moderno Churrascaria, where servers bring various meats to your table on skewers; the family-style Italian restaurant La Cucina; the fancy French restaurant Le Bistro; a Chinese restaurant called Shanghai’s and an attached Noodle Bar; a Japanese-style Teppanyaki grill; and a sushi bar called Wasabi. All charge between $10 and $25 per person, or price à la carte. Free dining options include the ship’s two main restaurants, the Manhattan Room and Taste; the Garden Cafe buffet restaurant; O’Sheehan’s Neighborhood Bar & Grill, which serves comfort foods throughout the day; and an outdoor grill and pizzeria called The Great Outdoors. Several other places onboard, including lounges dedicated to guests in certain stateroom and suite categories, also serve meals and/or snacks. There’s also room service and, in a nice twist, 24-hour pizza delivery, available for $5 per pizza anytime and anywhere on the ship — bar, lounge, casino, out on deck, or wherever. At night, Epic really hops. Aside from the entertainment choices already mentioned, there’s also a huge assortment of bars, lounges, and activities. The Bliss Ultra Lounge is a very hip nightclub full of velvety drapes and day beds, with day-glow bowling alleys off to one side. On the cooler side, the Svedka Ice Bar is kept at 17 degrees Fahrenheit so the ice furniture, ice artwork, and ice goblets don’t melt. Patrons get a parka as they enter. Down the corridor, are the more conventional Maltings Whiskey Bar, Shakers Martini Bar, and Humidor Cigar Lounge, while one deck below is O’Sheehan’s bar and the ship’s expansive Casino. There’s even an outdoor nightclub up on deck 15, with a dance floor, bar, and a giant TV screen projecting mood-enhancing visuals. Epic is equally busy and activities-filled by day, including out on the pool deck, which offers three giant, multi-deck waterslides: two in which guests bodysurfing through long, twisting tubes and one (the Epic Plunge) where you ride an inner-tube through a winding tube before being spun out into a huge central bowl. There are also two main pools, a wading pool, a kids’ pool and splash zone, a bunch of hot tubs, the usual bars and grills, and a 33-foot-high rock-climbing wall. Up a couple decks, the ship’s sports complex offers a full-sized basketball court, a batting cage, a rappelling wall, and a 24-foot enclosed climbing cage called the Spider Web. Indoors, there’s a large and well-stocked fitness center and a huge spa with 24 treatment rooms and a thermal suite with a plunge pool and heated lounge chairs. For kids, Epic has a huge children’s center with Wii and Playstation 3 games, a climbing maze, a ball pit, a dance floor, and more. Teens get their own private hangout space, called Entourage. As for Epic’s staterooms, there’s good news and bad: On the plus side, her standard outside staterooms look fantastic, owing to their unusual design, with walls that are curvy rather than ruler-straight, accented by a pleasantly modern, hip decor that includes wooden accents, creamy white walls and couches, and untraditional lighting (such as the big dome light in the ceiling). Now the negative: There’s no bathroom. Or at least, not a traditional one. 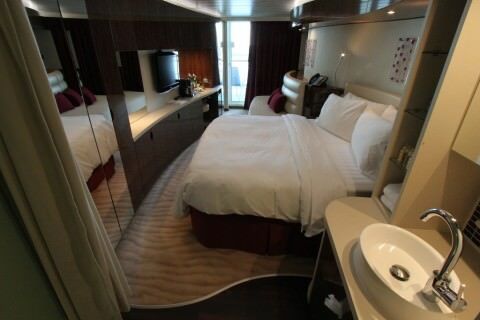 Instead, Epic’s designers put the sink and medicine cabinet out in the main part of the stateroom, the toilet in a small space on one side of the entranceway, and the shower in a space on the other side. Privacy issues aside (the shower and toilet are fronted with frosted glass doors), it’s just a messy layout. No matter how careful you are, you’ll end up getting water everywhere. 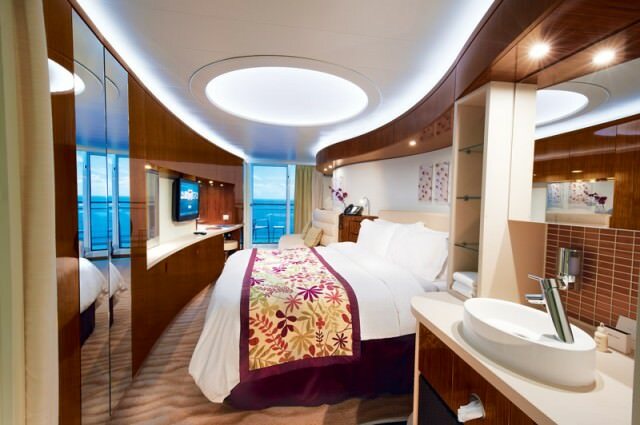 Much more successful are the ship’s 128 Studio cabins, which are designed for solo travelers and grouped in their own super-hip area of the ship, with a dedicated lounge that has its own bar, reading area, TVs, and concierge desk. The cabins themselves are designed like hipster-ish space capsules, with ingenious storage spaces, a one-way porthole window that looks out into the hallway, and adjustable mood lighting. They’re only about 100 square feet, but so well designed that the fun factor outweighs the claustrophobia. Epic has eight different levels of suites and mini-suites. Many of its suites, including all of its Deluxe Owner’s Suites, two-bedroom Family Villas, and Courtyard Penthouse Suites, are perched up toward the bow on decks 16 and 17, where they’re the center of The Haven by Norwegian, Epic’s “first class” section. There’s a Haven-guests-only courtyard with a pool, two hot tubs, plush daybeds and deck chairs, private cabanas, and tables for al fresco dining. One deck up there’s a private fitness center and steam room, and above that there’s a private sun deck. Indoors, Haven guests get a private bar, a concierge lounge, and two private dining spots, one casual and the other formal. As for the suites themselves, they’re fantastic, ranging from 322 to 852 square feet. The smallest of the bunch, the Courtyard Penthouses, are actually the most interesting, with the bed in the center of the room and everything else flowing around it. 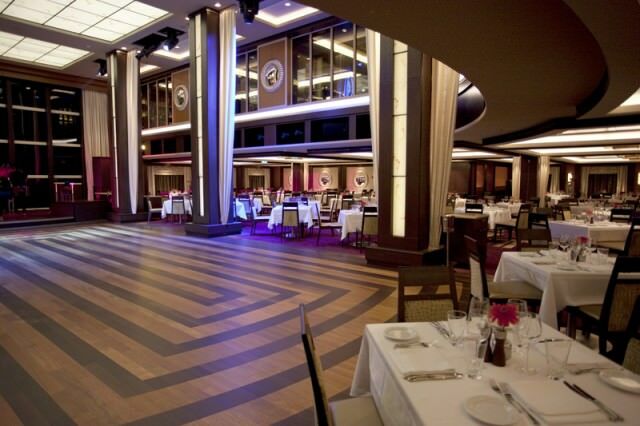 On June 22, 2010, I boarded Norwegian Epic for inaugural ceremonies in Europe. First impressions? Epic is big and boxy from the outside, busy and noisy on the inside. Love it or hate it? 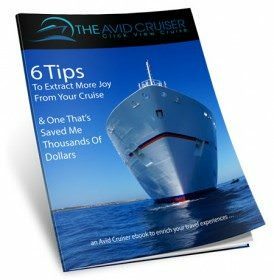 Read The Avid Cruiser’s full report NCL’s New Epic: Big And Boxy On The Outside; Busy And Noisy Inside, Will You Love It Or Leave It? 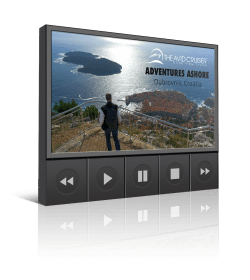 Avid Cruiser Posts, Photographs and Videos Featuring Norwegian Epic. No mention of the Studio rooms and private lounge for singles on this ship? thats the reason Im trying it out next month. WE are 9 people (4 adults and 5 teenagers who travel well) going in August to Naples, Rome, Cannes, Palma De Mallora and Barcellona. We are debating from taking the tours offered by NCL or going through a private tour operator like shoretrips. We wanted to do most of them private with a mini bus but that is proving very expensive. -tour companies that you have liked, any to avoid. -have you used the NCLtours and how was it? Thank you in advance for any advice!! !